)How many times have you been out to the stores lately? If you’re like me, a lot. Because there’s a lot going on at the holidays. So I’m always looking for something that makes life a little bit easier with the kiddo and I’m guessing you are too. 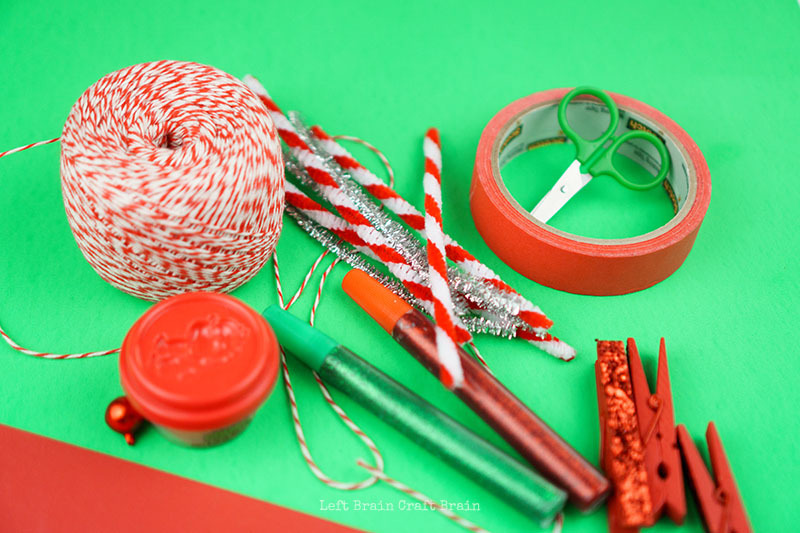 Next time you’re near the dollar store, grab some festive supplies and set up this Dollar Store Christmas Tinkering Tray for Preschoolers. 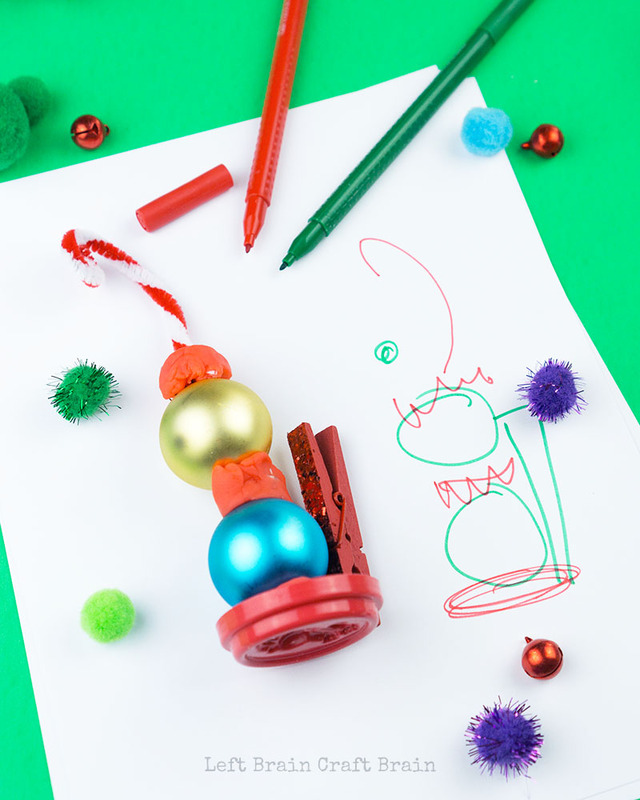 It’s a fun invitation to create that’s easy to set up and gets the kids thinking about stuff other than what’s on their wish list. Oh and it buys you a few minutes to get some stuff done, too. There’s something truly magical about tinkering. 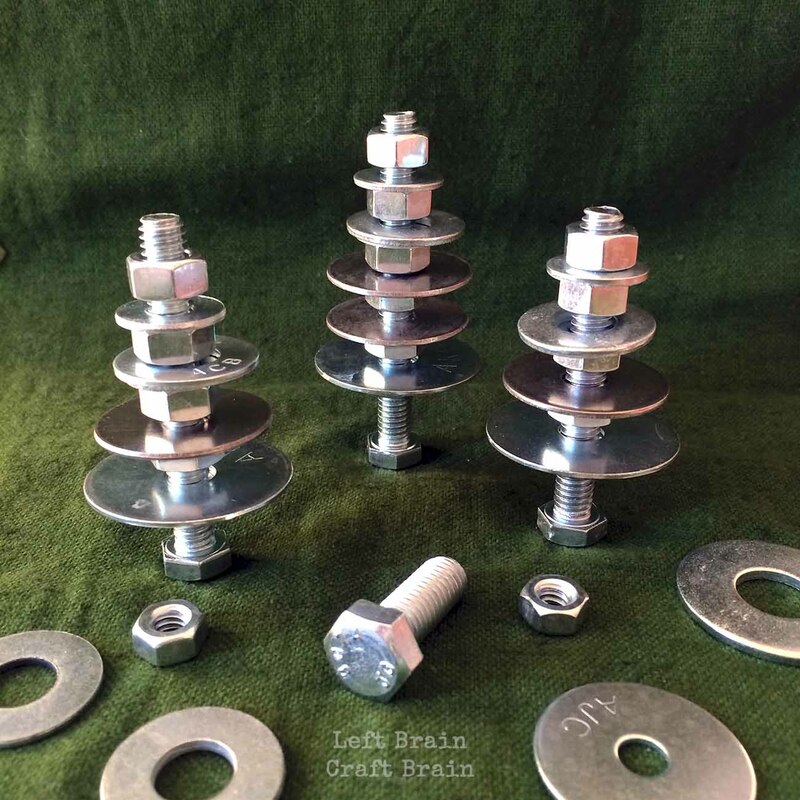 Once when I laid out a tinkering tray, I told my daughter “There are no rules. Do what you want.” She replied “Really? No rules? At all?” And she dove in with gusto. There were lots of deep focused moments, tongue sticking out and all. Trial and error, spots of joy and frustration, and ultimately one very proud preschooler, showing off her creation. 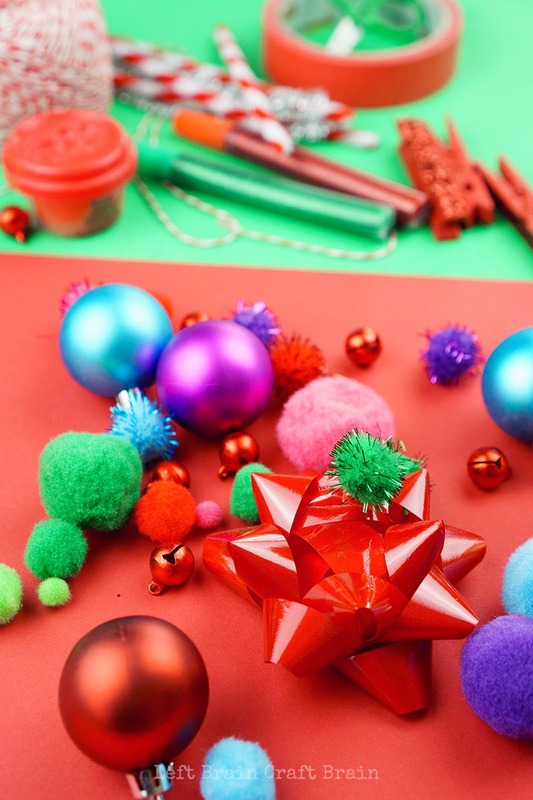 Here’s a list of some of the things I like to include in Christmas themed tinkering trays. Don’t stress if you can’t find the exact items, just be sure to grab a few from each category. A Tray: Might sound silly, but a tinkering tray needs a tray. Something low maintenance that you can dump everything into. Chip trays from the dollar store work or I picked up this cute tree shaped one in the dollar aisle at Target. Design Tools: They’re just like they sound… Pencil & paper (we love using a design journal or notebook), ruler or measuring tape. Connectors: Next you need something to connect stuff with. Anything sticky or twisty or clippy works. We love adding play dough to our tinker trays because it makes a great connector. 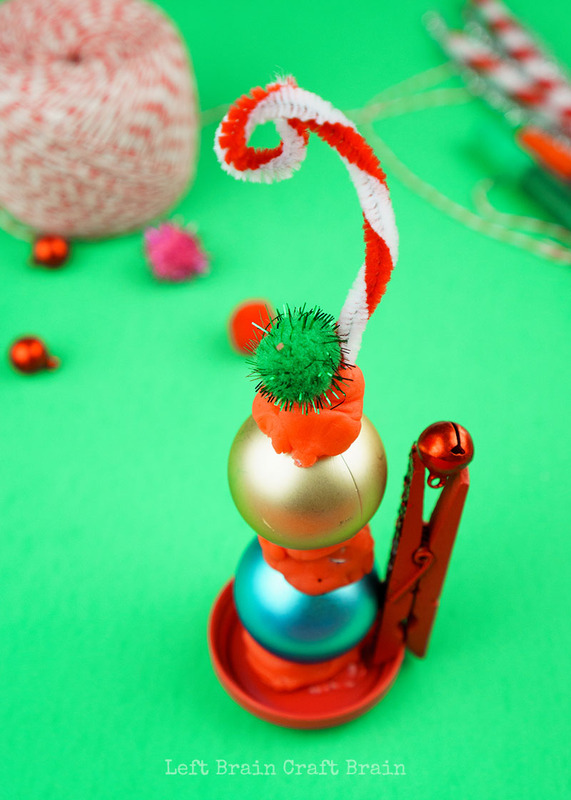 Flexible and sturdy, it can help connect even the trickiest things like ornaments and bells. 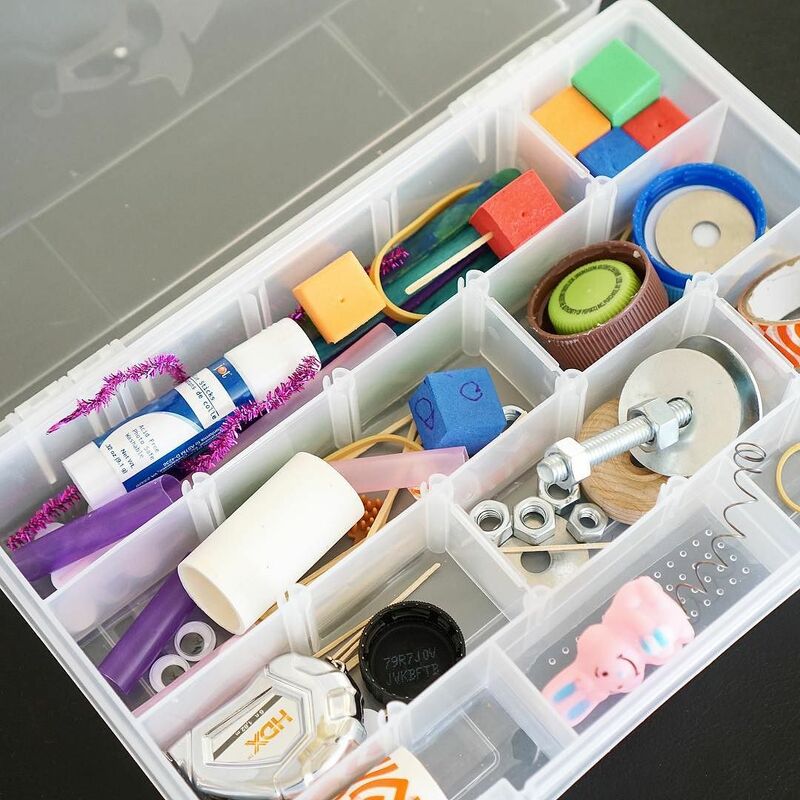 Things that Measure and Enhance: Kids love measuring stuff, so these optional add-ons can make tinkering even more fun. Once you’ve gathered all your supplies, just place them on the table and let the kids give it a try. I especially love leaving these trays on a side table for impromptu creativity sessions. 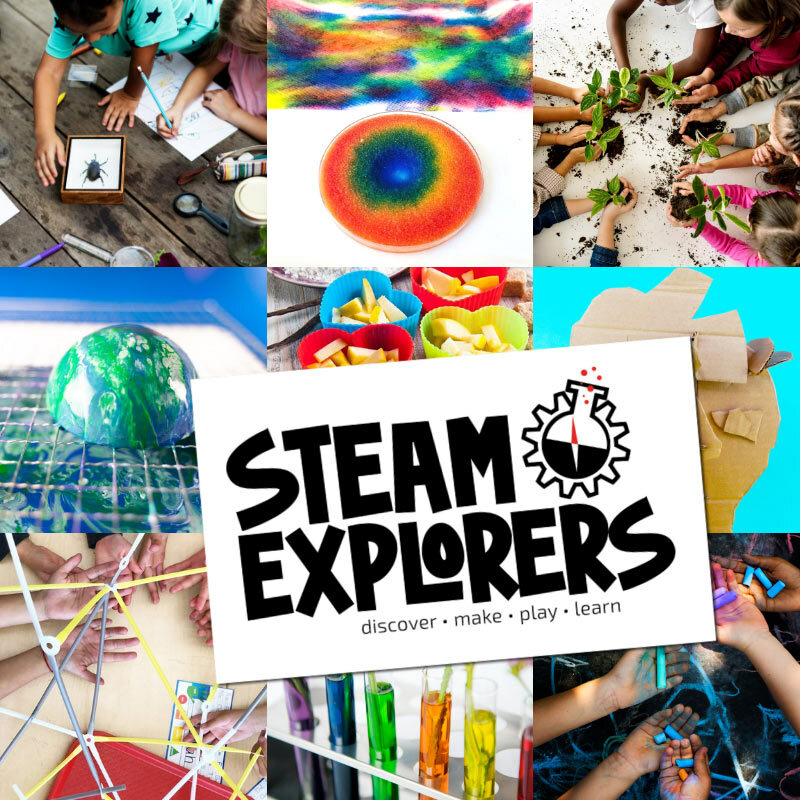 Love Tinkering? Check out these other projects! 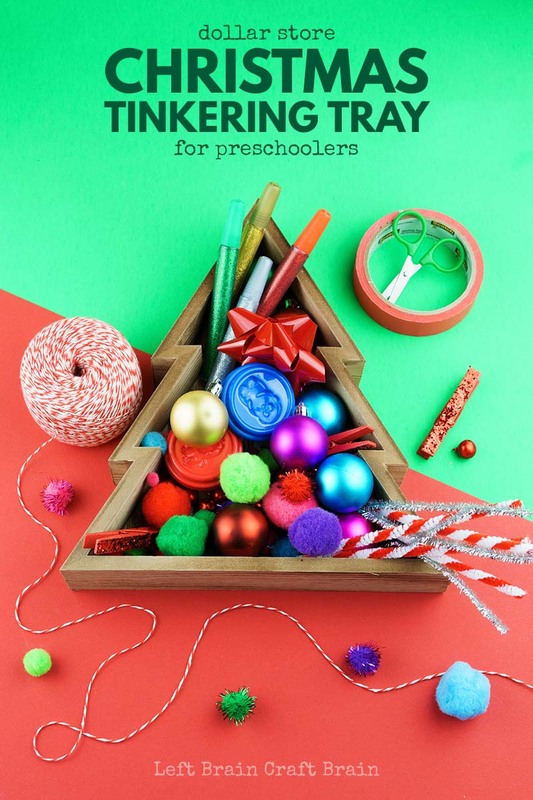 Portable Tinkering Kit for Preschoolers – This portable kit filled of creative goodness is a perfect thing for busy holiday times. It’s small enough to pop in your mom-bag and kids will love tinkering away wait times at Grandma’s or a restaurant. 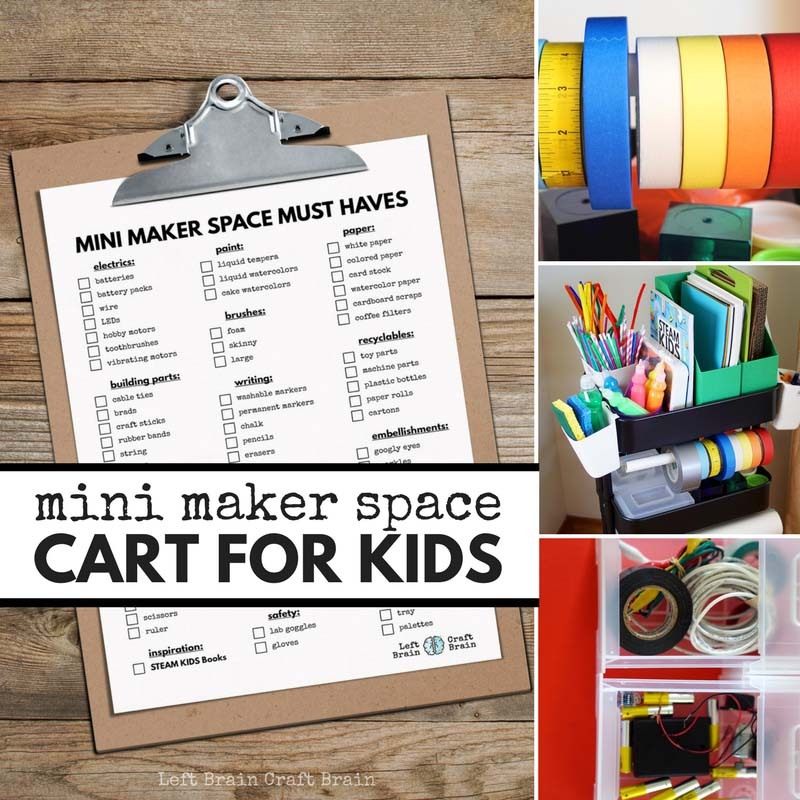 Or maybe you’re ready for a Mini-Maker Space at Home. Pull together a cart full of supplies Be sure to grab my handy printable or click on over to learn more. 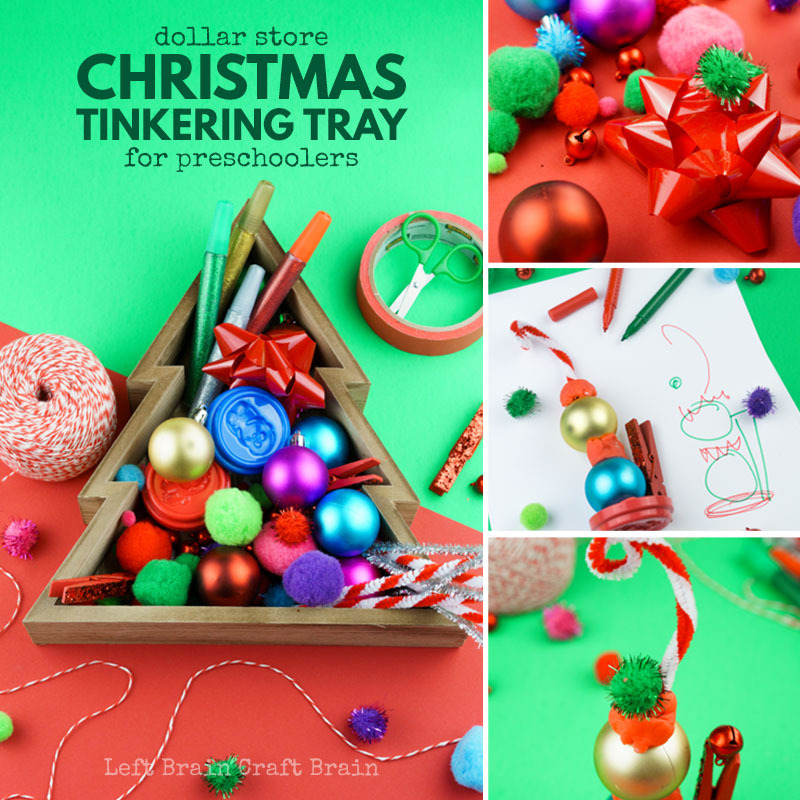 Have fun tinkering this holiday season with this Christmas tinkering tray!